Dr. Claudia Cotca is focused on comprehensive multidisciplinary dental treatments and biomedical oral therapies. Dr. Cotca is founder of Washington Institute for Dentistry & Toxicology, a diagnostic and treatment Clinical Oral Health Think Tank. Based on your oral manifestations of systemic conditions and evidence based oral systemic links, as your General Dentist, Dr. Cotca directs a dental team of oral health specialists and your medical doctors to inform and deliver your oral health treatment needs. Dr. Cotca specifically focuses on the application of porcelain as a biomaterial and the optimization of lasers in dental treatment protocol and prognosis. Evidence based Technique and Clinical Protocol Advancement. Customized patient care and support. contribute to delivering your choice of treatment options. Our discovery-oriented clinical protocols are enhanced by proven and updated safe technologies and practice. Supported by American Dental Association accreditation, World Dental Federation, Pankey Institute, Academy of Laser Dentistry, Academy of General Dentistry, and Seattle Study Club are among the influential core to Dr. Cotca's philophy of practice. The Institute believes in healthy attractive smiles. In this spirit, we use the latest techniques and biomaterials to optimize oral health and function. We are sensitive to the detailed and careful decision making process and we dedicate ourselves to supporting your oral health needs through excellent patient care support. Dr. Claudia C. Cotca is a 3 times alumni of the University of Michigan, with degrees in Chemistry, Cellular Molecular Biology, Toxicology, and Oral & Dental Surgery. Dr. Claudia C. Cotca has achieved excellence in providing oral health therapies profiled by systemic conditions with integrated aesthethics. She combines dental technology and practice with gentle, customized attention to help her patients maintain their oral health, and their teeth healthy and attractive. 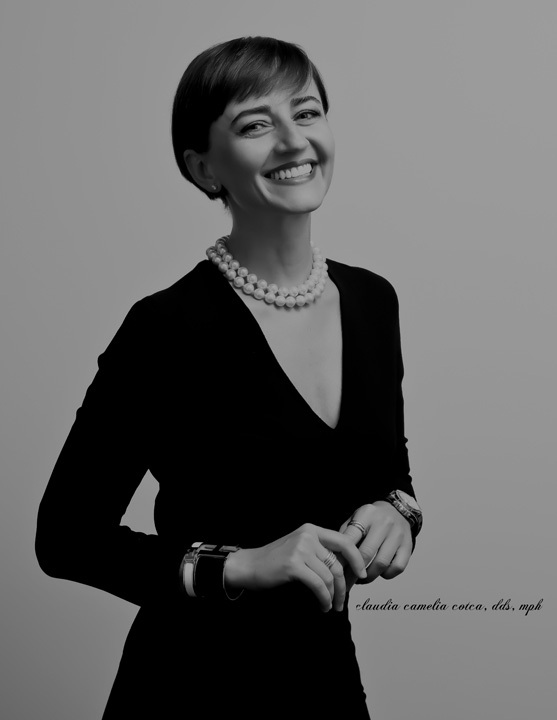 Dr. Claudia C. Cotca has working experience and familiarity with private and public health dentistry and oral medicine in the United States, Romania and United Kingdom and other parts of the world. 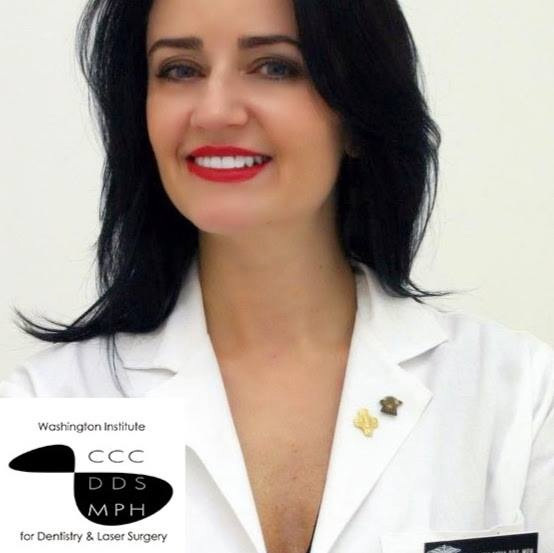 Dr. Claudia C. Cotca's long standing interest in the systemic link to oral health diagnostics and therapies prompted the founding of Washington Institute Dentistry & Toxicology, focusing on the development and integration of evidence based discoveries to oral health treatment. Outside clinical practice, Dr. Cotca contributes through pro bono efforts to the integration and progress of oral health in the public health sector relevant to patient clinical applications. She is the Spokesperson on Capitol Hill for the American Academy of Oral Medicine, and serves on the DC Leadership Board for the American Diabetes Association. Her volunteer activity on Capitol HIll representing the American Academy of Oral Medicine includes the recently passed Tobacco Free Kids Bill's Family Smoking Prevention and Tobacco Control Act, and the American Dental Association's Meth Mouth Prevention and Community Recovery Act. Dr. Cotca continues to enrich her skills and knowledge through studies at the Pankey Institute, Academy of Laser Dentistry, American Academy of Cosmetic Dentistry, American Dental Association, Academy of General Dentistry, American Society for Laser Medicine & Surgery, Seattle Study Club, The Millennium Study Club, Renaissance Study Club, American Academy of Oral Medicine, Trigeminal Neuralgia Association and World Dental Federation, all of which are accredited by the American Dental Association education certificates. Dr. Cotca travels internationally and lectures on various topics, with special focus on oral medicine, cosmetic procedures and oral health, cancer treatment oral protocols, and women's oral health.